The Odyssey House Theatre Project returned to Broadway last weekend with a new ensemble and a daring original play. An ensemble comprised of Odyssey House teens, directed by PossibleArts artistic director Tom Demenkoff, performed “When You Shake the Tree,” at the Studio Theatre on 42nd Street. 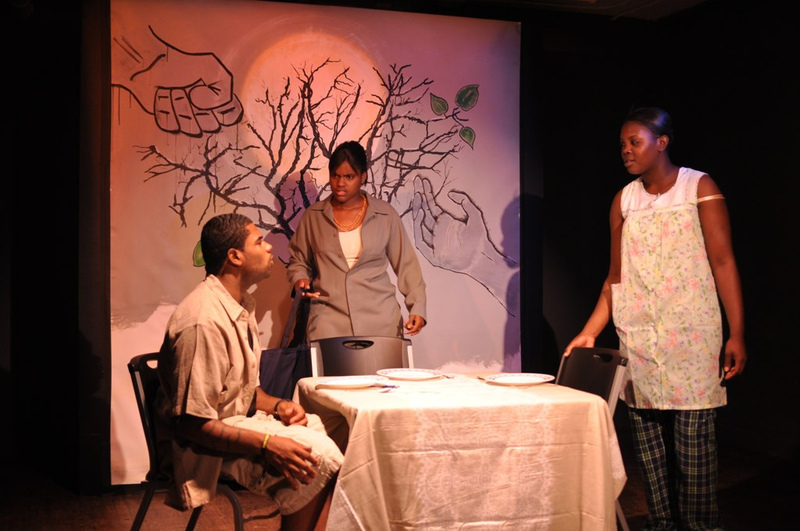 The play was written by the teenagers during a three-month theater immersion workshop. The project gave them an opportunity to find their voices, flex their bodies, and open their minds through improvisation, playwriting, music and art. The workshop was funded by a generous grant from the Elizabeth and Barets O. Benjamin Foundation. For more information on the project, including a blog chronicling the teens’ journey, visit the Odyssey House Theatre Project website.